At WebDesign309, we know you’re busy. If web development isn’t your industry, then you don’t have a lot of time to spend on your website. That is why we are here, to help your business grow. We do this through our exceptional web design and advertising services. Whether you’re a store that can benefit from ecommerce, a restaurant that needs a mobile responsive menu or a company just trying to get their name out there, we can help. If you are looking for website companies Elgin IL business owners can count on, then keep reading! Not all website companies are created equal. At WebDesign309, we have a team of dedicated developers, designers and project managers here to help you with any service you require. This is because we are also a full-service advertising agency and we can advise you on the best way to achieve your business goals. For example, over 90% of adults use the internet, and over 80% of them only look at page one when using a search engine to find what they need. Knowing this, is it important to you if your website is on page one of Google search results? For most business owners, this is important. However, the path to get you on page one will be customized to meet your needs. It will depend on your industry, your target audience and how quickly you need results. Getting your website up and running is just the beginning! Think of our project managers as your wish-granters. He or she will be your dedicated point of contact and will make sure you get a website that both a) looks great and b) converts customers. 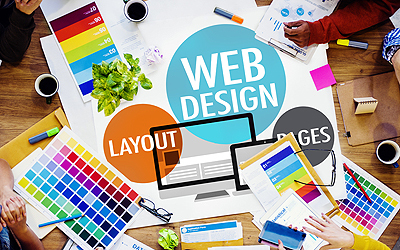 Your website needs to attract users with a great look, but it also needs to be user-friendly. Your project manager will get to know your company, goals and target customers to ensure that your new site will meet your customers’ design and functionality needs. The website we design for you will include great images, a smooth layout and content designed with the user in mind. On top of that, we will also use the best code structure available, HTML5.5. After post- and pre-launch testing, your website will be open for business! Step #3, Anything Else You Need! Once your website is complete, we won’t try to sell you any services you don’t need. What we will do is listen to your goals and come up with a marketing plan to help you achieve those. Whether you need more brand awareness through internet marketing or traditional marketing, we are here to help. We will also make sure to recommend a plan that isn’t just the right plan for you, but is also the right plan for your customers. What is the use advertising where your customers aren’t watching/listening? If you are looking for answers from the best website companies for Elgin IL, contact us at 847-906-2287 or fill out our request form. We have built over 1, 000 websites in only a few years! Our firm specializes in getting the job done right and on time, which is why local businesses call us when they are looking for the best website companies Elgin IL and the surrounding areas have available! 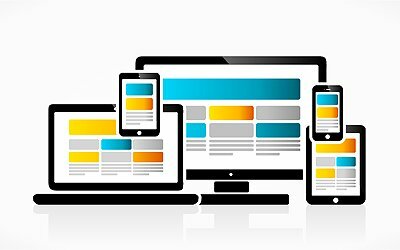 We offer web design and marketing services throughout Illinois, including Naperville IL, Elk Grove Village IL, Downers Grove IL, Chicago IL, Peoria IL, LaSalle/Peru IL, Decatur IL, Galesburg IL, Schaumburg IL, Monmouth IL, Canton IL, Lincoln IL, Springfield IL, Bloomington-Normal and the Quad Cities: Moline IL, Davenport IA, Rock Island IL and Bettendorf IA. We also offer these same services throughout the country, and have designed websites for clients in New York NY, Tampa FL, Key West FL, Clearwater FL, St. Petersburg FL, Jasper IN, Indianapolis IN and more.